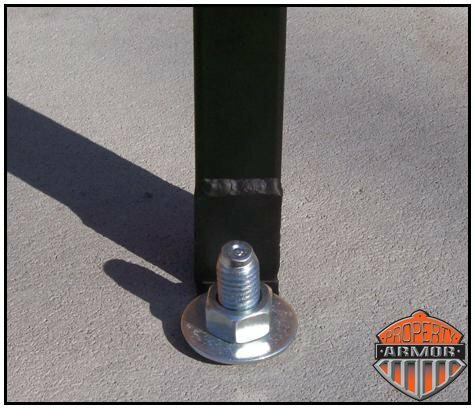 Step 3: Use Epoxy and insert Anchor. Tap lightly with hammer until seated. Step 4: Tighten standard nuts until snug. DO NOT over tighten. 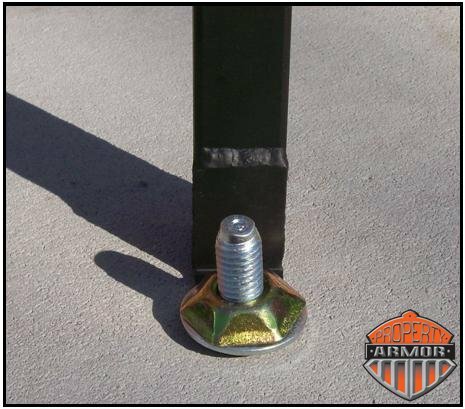 Step 5: (Optional) Replace one of the standard nuts with our optional tamper proof fasteners and tighten according to the directions. 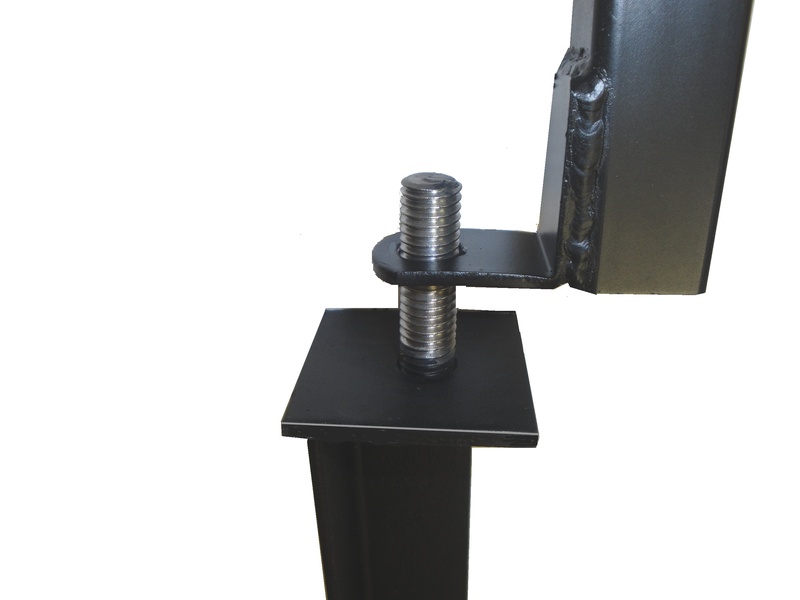 Again, if you over tighten the nuts, the bolts will begin to spin which will make the process difficult. 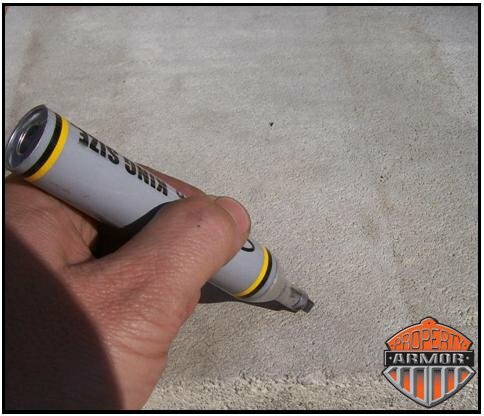 Please keep in mind that not all concrete pads are solid concrete. 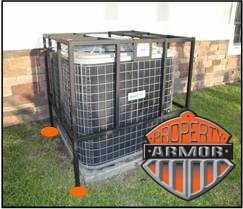 Condenser pads are also produced with foam underneath to help with weight and are less expensive. 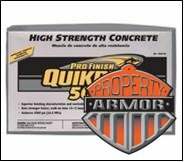 These are plenty durable for supporting your air conditioner, but are not as secure as a solid poured pad. 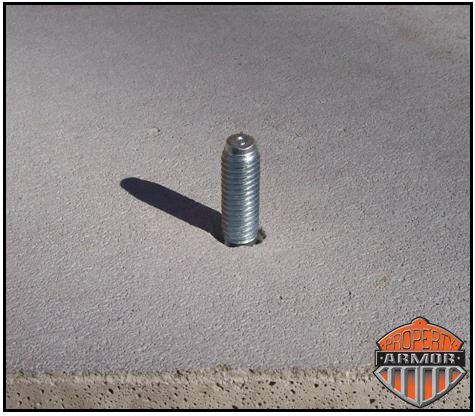 You and your installer will ultimately have to be the judge on whether the installation in secure enough or whether you want to consider other options such as concrete the cage in the ground or replace the pad with another. Step 1: Set cage over unit and mark out where holes are to be. Step 2: Remove cage and set aside. 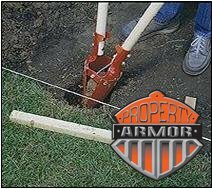 Dig 4 holes where indicated with post hole diggers until approximately 16″-20″ deep. Tree roots may give you a challenge in some situations while digging, so be prepared with a small saw if there are trees next to the site. Step 3: To make things easier, turn cage upside down to install 4 earth anchors. After fastened turn cage over with assistance and lower into the holes. Add or remove dirt if necessary until the cage is level. TIP: If adding a security fasterner, this is the time to install them. 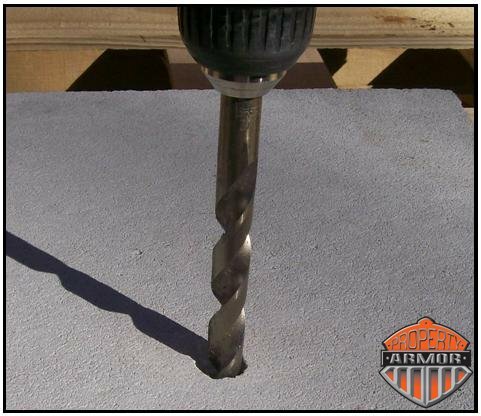 Step 4: Mix Ready-Made Concrete with water and pour into holes making sure to get all around the anchor. 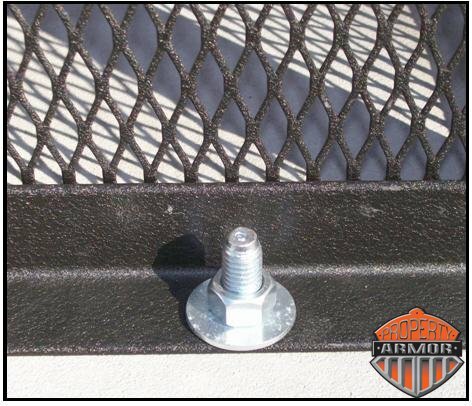 At this point, you can add concrete up to the bottom of the cage feet leaving the fasteners exposed for access ability, or to fill the hole completely. 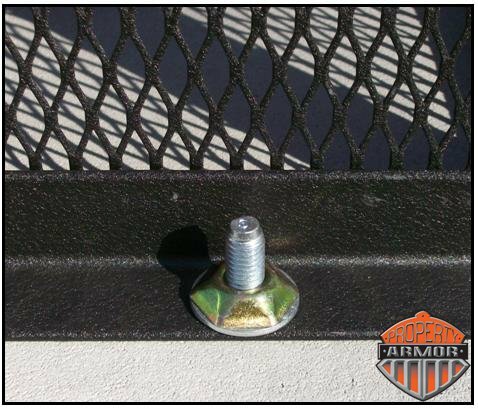 Check again to ensure cage is level in both directions and adjust quickly if necessary before the cage completely sets.